Wendell holds the Certified Auction Institute (CAI) designation, along with the Accredited Auctioneer of Real Estate (AARE) and the General Personal Property Appraiser (GPPA) designations from the National Auctioneers Association. Wendell Hanson is also the President, Principal Auctioneer and Principal Broker of Hanson Realty & Auction Co., Inc. He is a member of the National Auctioneers Association, the Tennessee Auctioneers Association, the National Association of Realtors and the Middle Tennessee Association of Realtors. He is the past-chairman of the Coffee County Tax Equalization Board and currently serves on the City of Tullahoma Tree Board. 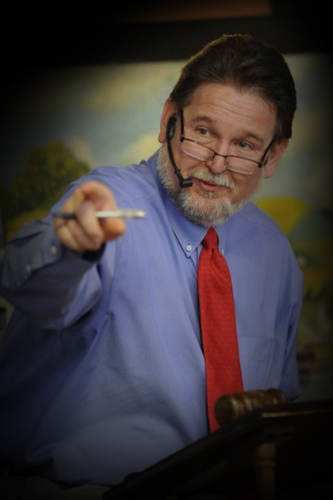 Owner of Nashville Auction School, Wendell instructs on state-specific auction laws, professionalism, bid-calling, auction math, environmental issues in auctioneering and technology the auction industry. He also provides specialty training classes to national auction companies, state professional associations and state licensing boards.